Milling around the streets of Charleston, you never know what you'll stumble upon. 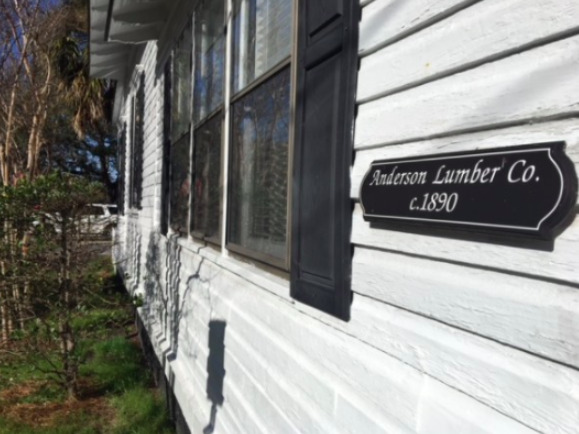 Take for instance, an inconspicuous sign on the side of a Broad Street house that reads "Anderson Lumber Co. c.1890", or a weathered wooden sign found not too far away at a small city park, bounded by Broad, Ashley, Tradd, and Chisolm Streets. "Horse Lot"... What does it mean? There are no horses galloping around today. And what does it have to do with the Anderson Lumber Co. sign just yards away? We decided to do some sleuthing into the history of this particular corner of Charleston and it seems these two signs point to a symbiotic past dating back to the American Revolution. 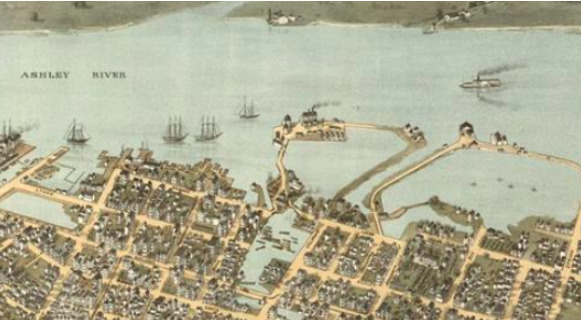 When the Revolutionary War ended in 1783 the City of Charleston became incorporated immediately. Soon city officials began to subdivide and lease tracks of land to lumber mill companies. 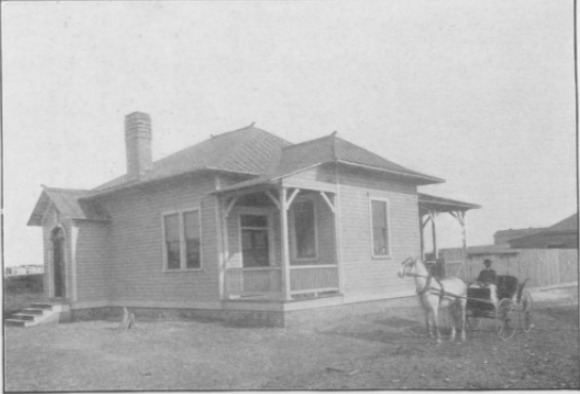 One such parcel, bounded by Broad, Ashley, Tradd and Chisolm Streets, exchanged multiple hands until finally leased to the Anderson Lumber Company in 1890. 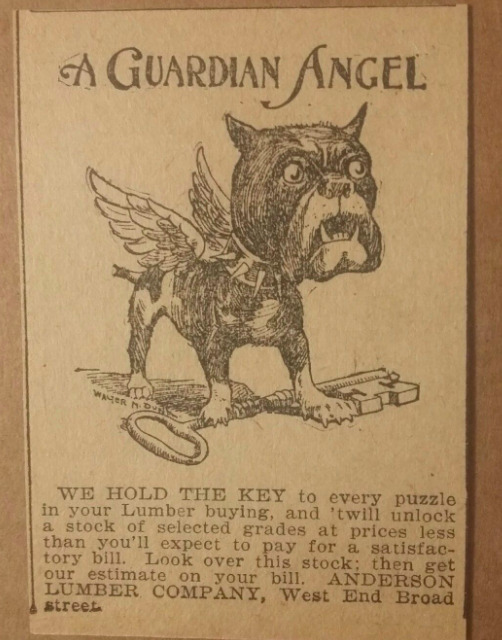 An advertisement below touts that Anderson "holds the key to every puzzle of lumber buying." A modest wooden building, located at 305 Broad Street was used as the company's office, behind which sat the lumber yard and mill pond. 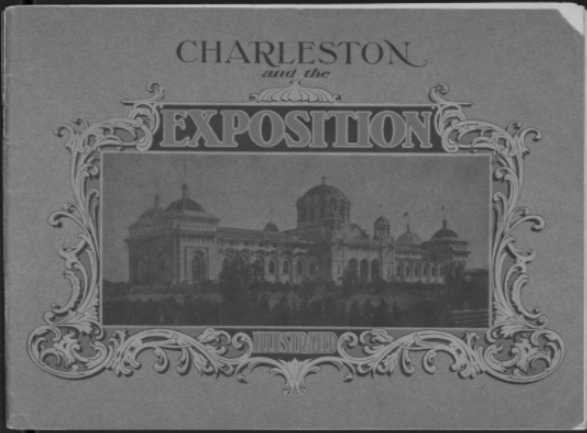 The business played a vital role supplying lumber along the eastern seaboard to turn-of-the-century builders and in 1902 was featured prominently in the official illustrated souvenir book of the Charleston Exposition. An excerpt reads: "One of the industries at the mouth of the Ashley River in Charleston which immediately commands attention is the lumber business. In the winter the lumber is rafted down the river, both sawed and in the log, and the river front is covered for miles. It is shipped principally up the coast, in sailing craft. 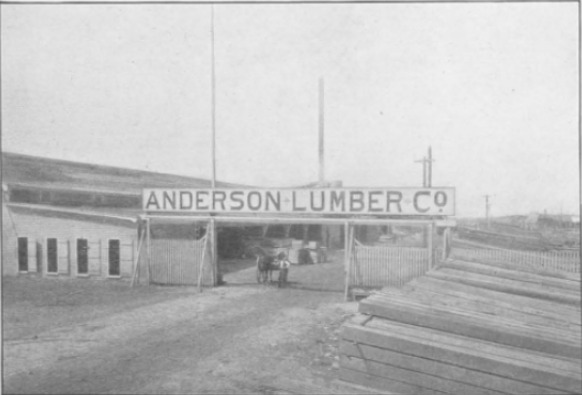 The operations of the Anderson Lumber Company extend far up the rivers of the State, and illustrate one of the important lines of business of the city." The turn of the century saw rise in the need to fill in wetlands surrounding the Anderson Lumber Company. An excerpt from the Charleston Yearbook from 1883, shows a petition by the Commissioners of the Colonial Common (now Colonial Lake) pressing for the creation of retaining walls and roadways in the area, preventing water rushing over Broad street into the mill's pond. By the time the 1909 "Boulevard Project" project began, the Anderson propety was being used for lumber storage. The mill pond is gone and private residences are starting to be built on the land. A man-made park also appeared. In 1937, City Council changed the name of the public space to Murray Park as it was directly opposite Murray Vocational School. Today, Murray Park, is known as The Horse Lot. But why the name change? Well, several years ago, a writer with the Charleston Mercury was able to track down a descendent of the Anderson family. 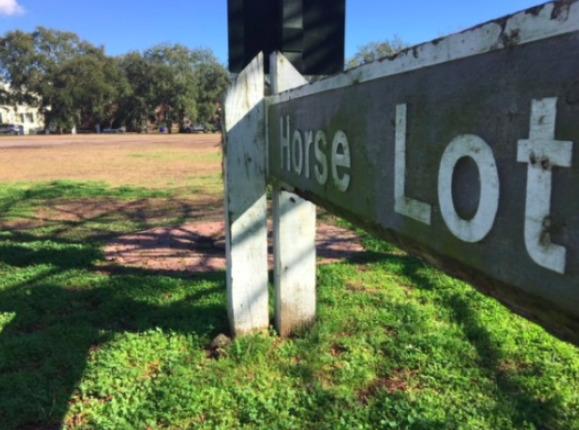 The relative recalls that the company used the "Horse Lot" behind their office to house the mules and horses that hauled timber out of the Ashley River. Perhaps the name change is an homage to days gone by. Today, the Horse Lot is primarily used as an athletic field and on any given day you can find people playing soccer and frisbee or walking their dogs. It's a nice place to sit and gather your thoughts about what once stood on this ground and the vital part it played to a thriving industry in the 1800s. 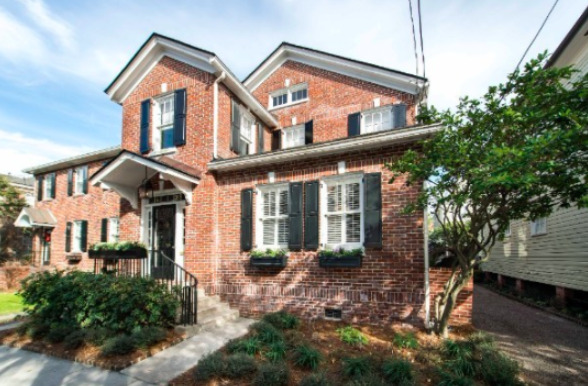 As luck would have it, directly across the street from the "Horse Lot" sits a two story brick residence being offered for sale by Lois Lane Properties. 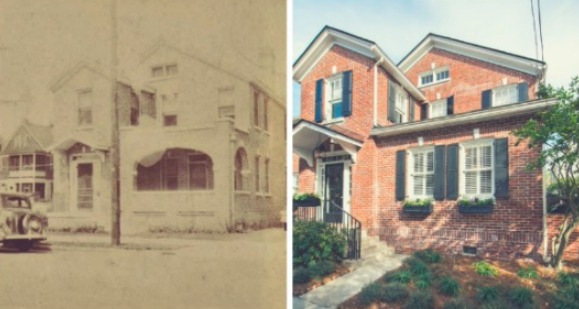 Built in the 1920s, the original structure had an open covered porch, which was later enclosed to add living space inside this aesthetically beautiful light filled home. The first floor features spacious light filled rooms and hardwood floors. With an open floor plan this house is perfect for entertaining friends and family. The living room and separate dining room feature mantled fireplaces. The eat in kitchen features top of the line appliances. There are three bedrooms and two and one half modern bathrooms. Off street for two cars.... and a park (horse lot) right across the street. 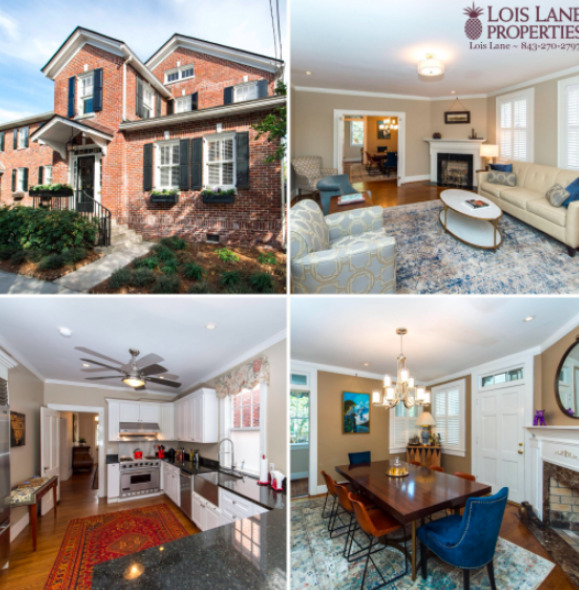 10 Ashley Avenue is offered for sale by Lois Lane. Call 843-270-2797 for a showing.